This single panel shirt never goes out of style! This classically styled shirt is manufactured right here in the USA. Our goal has always been to produce a quality garment at a fair price. This shirt is definitely that! This is a black shirt with a light blue single panel. 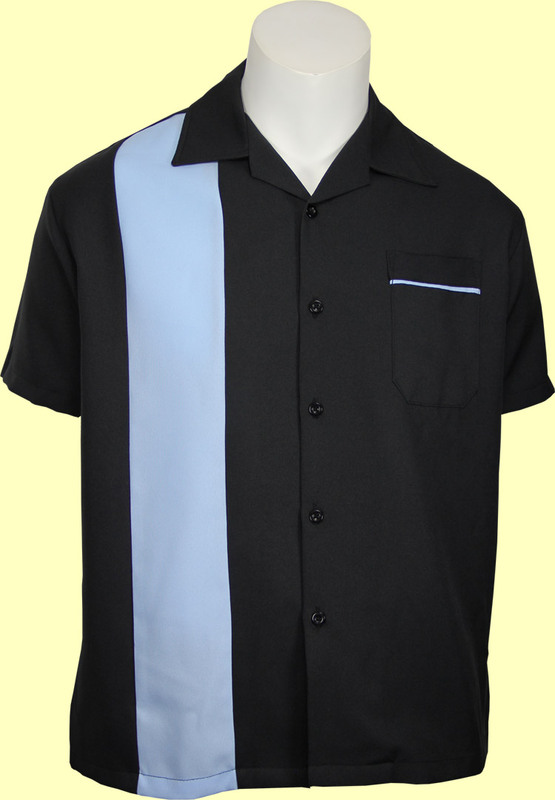 The chest pocket is accented with light blue piping. The Polyester Poplin fabric gives the shirt a nice feel that is also very low maintenance. This shirt is perfect for teams or corporate events. We can screen print and/or embroider logos onto this shirt. If you are looking for a large enough quantity, we can produce this shirt in virtually any color combination.